When writing this I am a bit hungry which doesn’t make it any easier to accept that I am no longer in Stockholm. 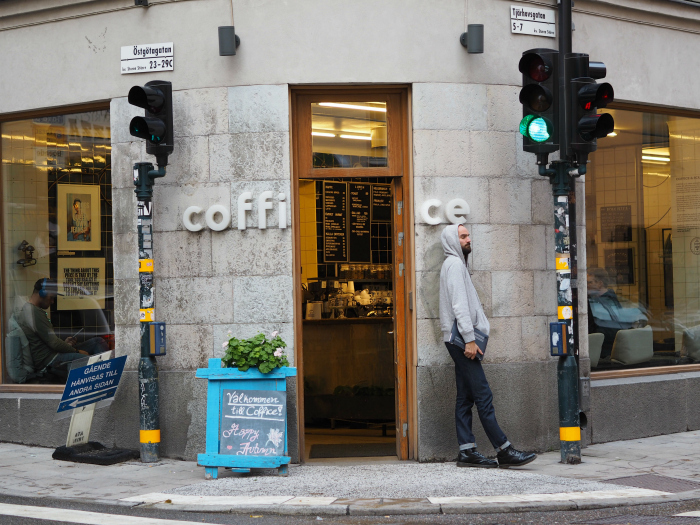 Here are my tips for Södermalm area, which is my favourite in the Swedish capital. Hipster? Yes. Full of good food? Yes, yes, yes. 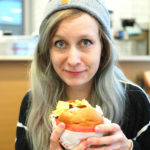 I think Sweden keeps the prices even higher than in Finland so that this Finnish girl would leave some food for the Swedes to eat too. 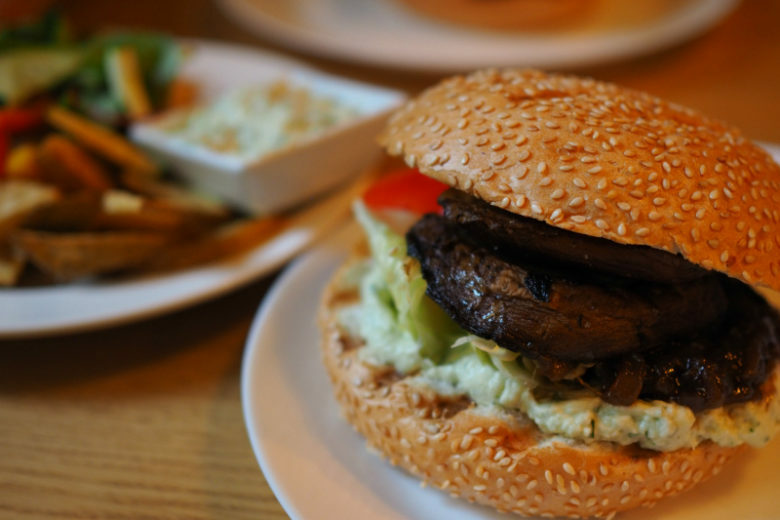 Not that Södermalm is the only place to find great food in Stockholm. What made me especially happy was that every single place that served coffee had Oatly’s iKaffe oat milk too as an option. I drink my coffee black but that didn’t stop me from being all touristy and taking photos of the milk cartons in convenience stores. Photographing statues or palaces is so pre-vegan. Here is a combo made in heaven. Vegan restaurant Delivore and vegan supermarket Goodstore, where they also sell some of the dishes to take away. 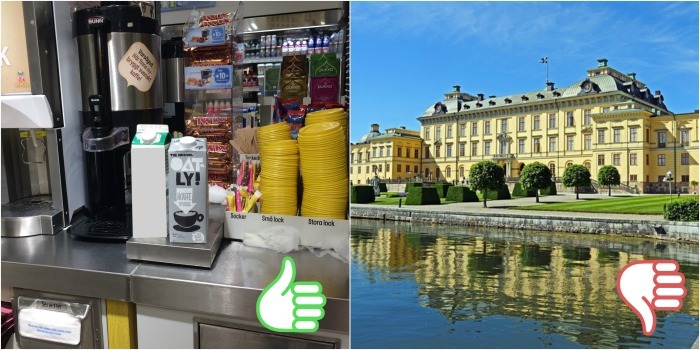 I went to Delivore twice and bought also food with me from Goodstore for the ferry ride to Gotland. 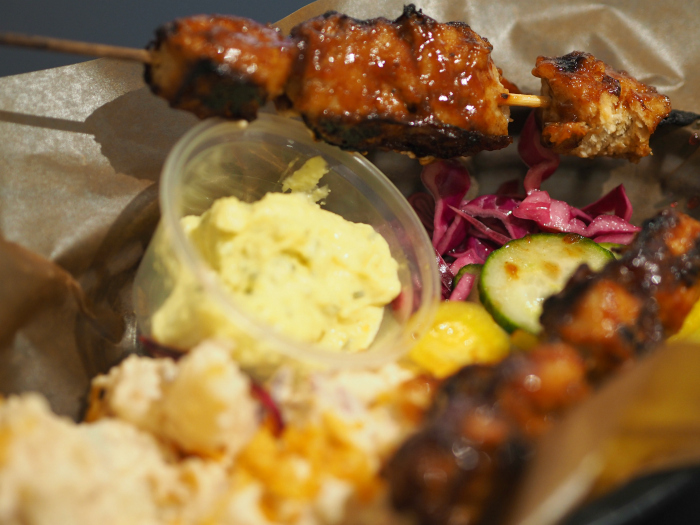 First time in Delivore I had the barbeque skewers that were perfectly sticky and sweet. 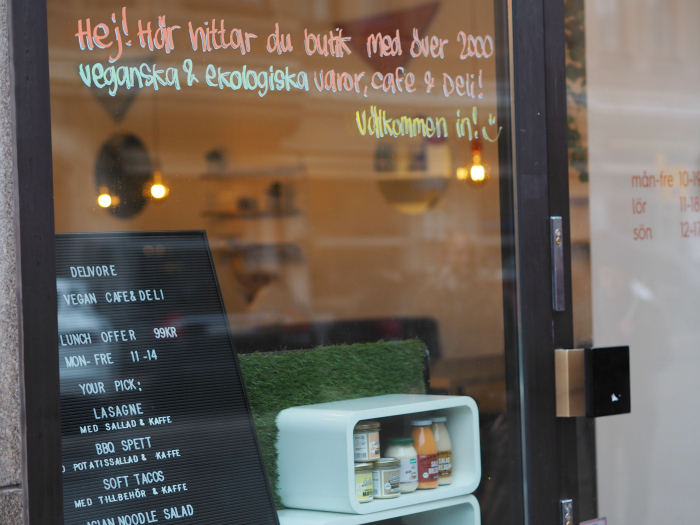 The second time I went for club sandwich skagenröra, which is a swedish shrimp paste, in this case of course vegan. When I had the first bite memories of my childhood’s parties and birthdays flashed before my eyes. 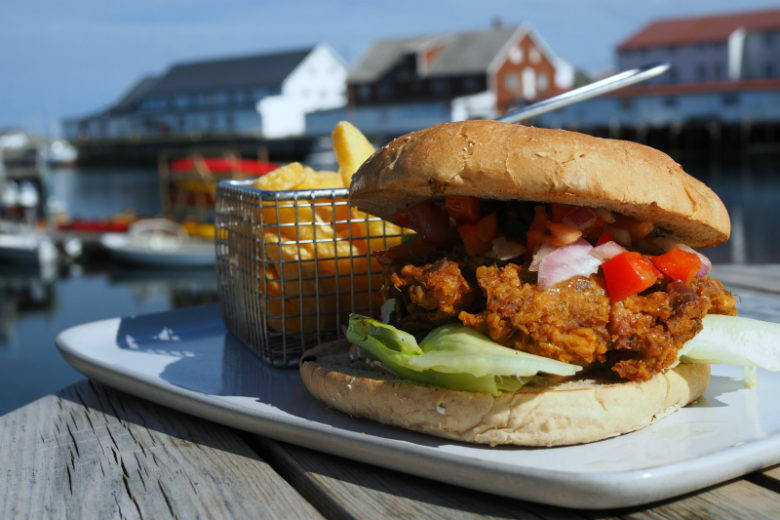 The taste was exactly like in a salmon sandwich cake (yes, such thing exist here in the north) that used to be the highlight of the menu in my family’s celebrations. I remember many people asking for the recipe because it was just pretty much the best thing on earth. Now I had that same taste in my mouth after all these years, this time no corpses were involved. Hip hip hurraa! Luckily there was Goodstore selling the skagen sauce to take home with you. I wasn’t heading home from Stockholm, but I did take a close look at the ingredients list to be able to recreate the cake back at home. Goodstore left me wanting to rob a bank and buy first with the money a pile of suitcases and bring them back home full of food. The amount of products from chocolates, yogurts, Tofurky to Delivore’s own mayos and sauces was outstanding. I live in the wrong country. I have been to The Plant once before and decided to do a rerun now with the tour. 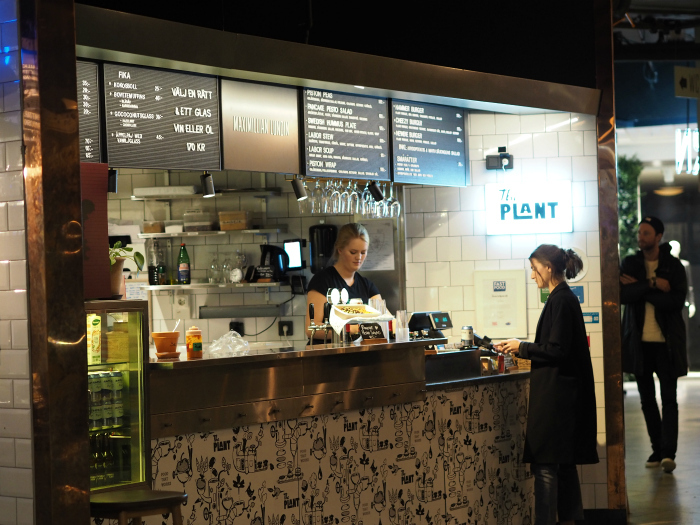 The Plant is located at Ringen shopping center (there is also another location in Stockholm). There is a restaurant area called Teatern, where you sit a bit like, you guessed it, in a theater. The food stalls are in the middle and chairs and tables around. I chose Cheezy Burger from the three burger options. It included a kidney bean patty, vegan cheese, tomato sauce, pickles and mustard marinated onions. 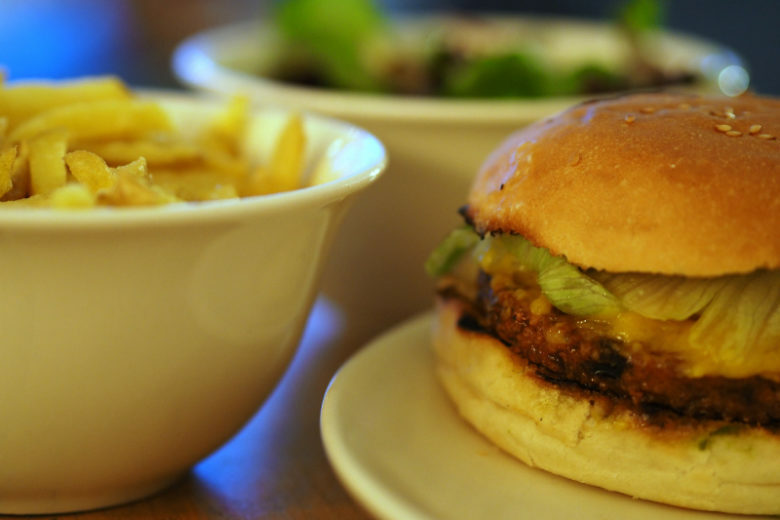 Actually you couldn’t taste much of the cheese, but the patty was nice and crispy. This time the side dish, amazingly good potatoes, stole the show. They were actually whole potatoes, not french fries, with loads of mayo and kale on top of them. 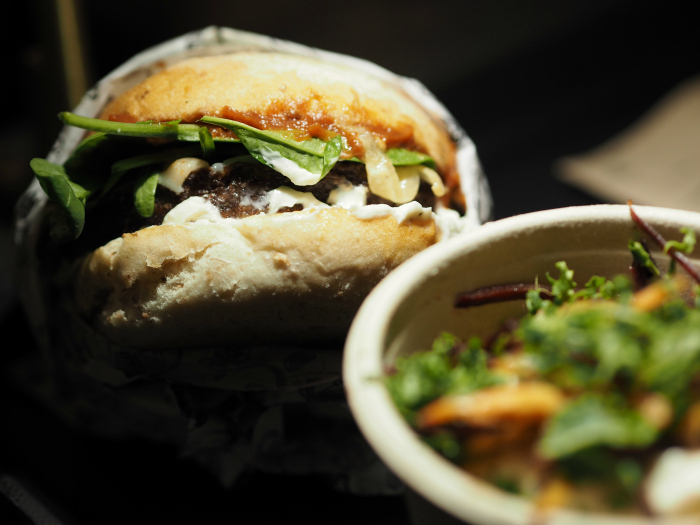 Taku-Taku is a vegan street food chain serving e.g. tacos and buns. I had three different tacos to taste: Bulgogi with mushrooms and tofu, Tikka Masala with cauliflower and chickpeas and Vindaloo with eggplant and black beans. Bulgogi was my favourite one. Sauces were on the counter and you could add as much as you wanted. 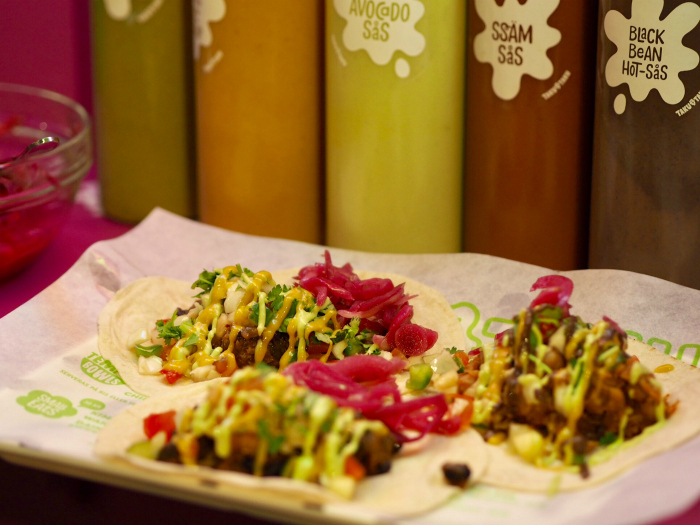 Avocado sauce, mango curry ketchup, coriander sriracha… More like sauces with tacos than tacos with sauces. I saw also a couple eating the dessert pancakes and I kind of wanted to steal their plate. 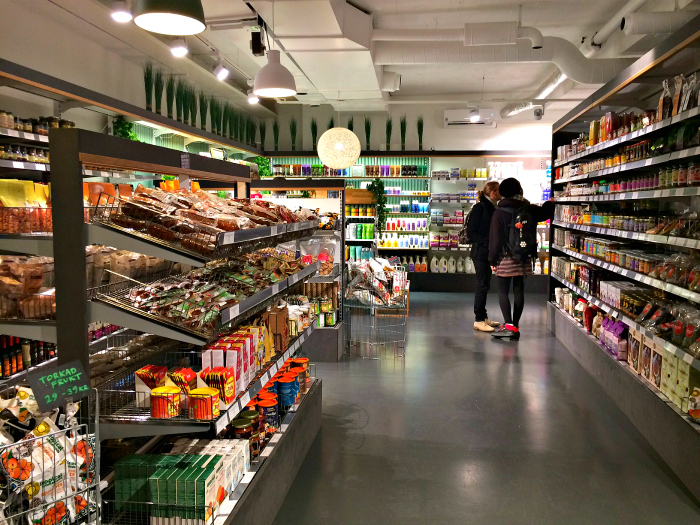 Taku-Taku is located on the top floor of Paradiset food market and next to it there is a store with some vegan food and cosmetics as well. This place is not fully vegan, but has many options and serves breakfast until afternoon. 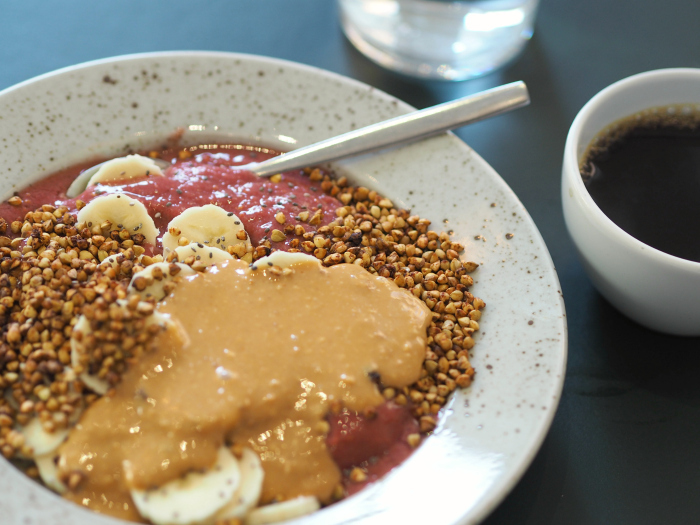 I had the most delicious smoothie bowl with acai, raspberry smoothie, chia pudding, banana and roasted buckwheat (sounds drier than a desert, tastes like glory). And why haven’t I thought of adding peanut butter to my morning porridge or to pretty much everything? 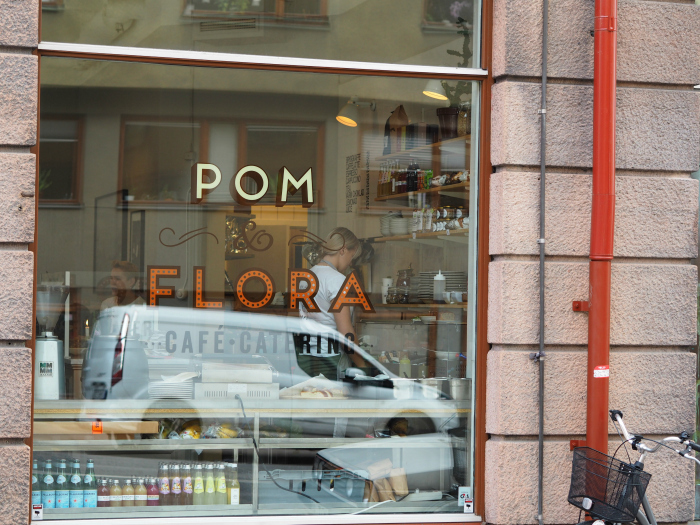 There is another Pom och Flora also in Vasastan, but I never made it that far. I work couple days a week, just me and my computer. So I found this office place that serves coffee and food and has pretty much the neatest name I can think of. If you are in Stockholm and want to work sitting in a comfy chair surrounded by other people glued to their laptops, this is your place! Also loads of power sockets available. 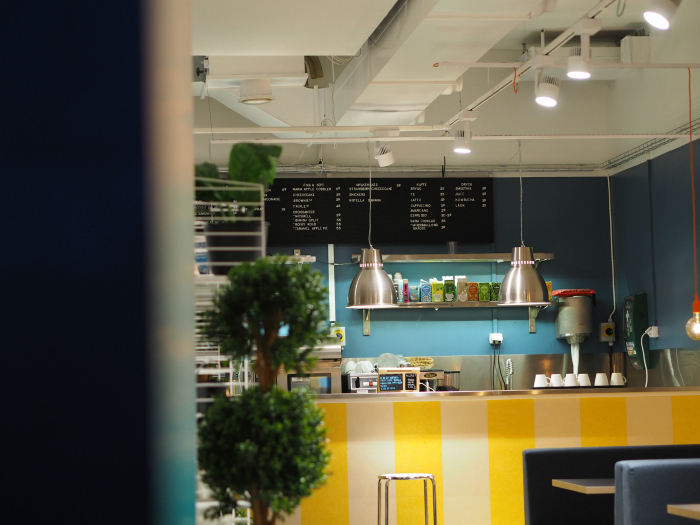 Unlike many shared office spaces this one costs just as much as you drink coffee to keep yourself awake. You can rent a meeting room if needed. 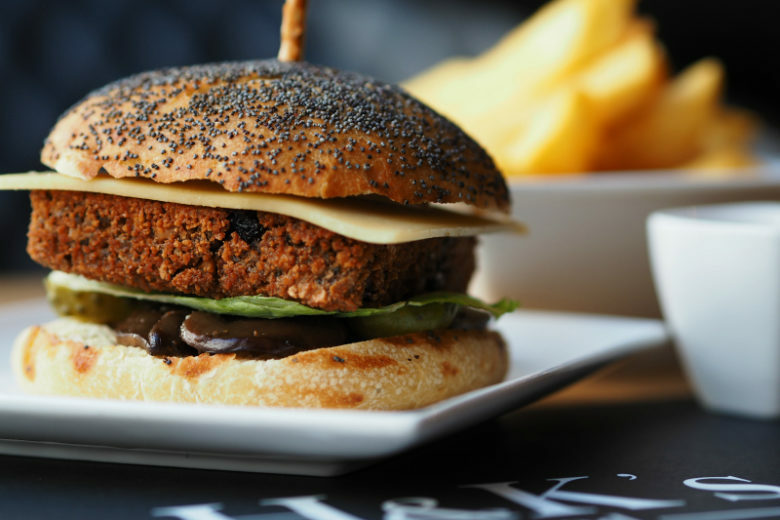 They also serve light lunch with couple of vegan options. My portobello sandwich was tasty though it wasn’t enough to keep the hunger away for more than couple of hours. 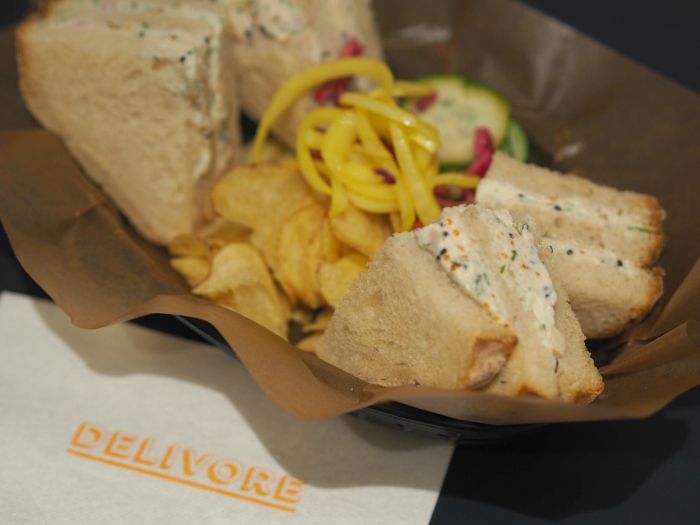 Luckily Delivore was not far away after the day at the (c)office. Two days in Stockholm and I realized my shoes were neither waterproof nor warm at all. 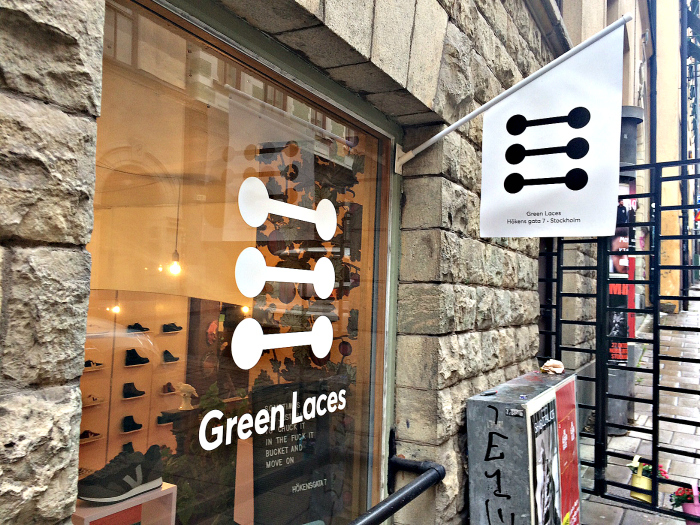 I went to this vegan shoe shop and found life savers from their wide collection. Just like any stylish shoe store but everything cruelty-free. The owner was the nicest and so helpful. If you are in Stockholm, I recommend a visit. If not, luckily there is internet. 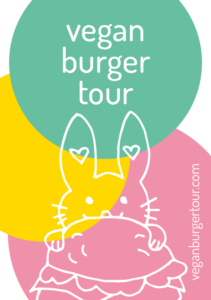 Burger count 8 countries, 15 burgers.